For over 30 years, Pride Products has grown to be one of the leading distributors of general merchandise and food in the world. 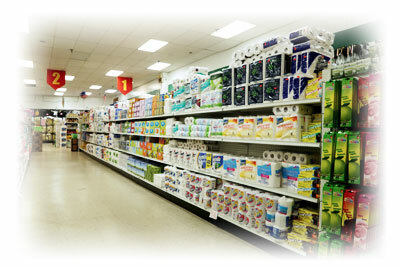 Pride caters to over 8000 stores nationwide, and exports to countries all over the world. Pride’s newly renovated and expanded 300,000 square foot facility and 6,000 square foot show room have welcomed buyers nationwide to view the many products and product lines, with hopes of bettering their own business. To supply our customers, small and large, domestic and international, with a variety of quality products at the lowest prices possible while providing superior customer service. We take Pride in our Products so our customers can too. In October of 1983, with innovative ideas and few means, David and Roya Emrani ventured out on their entrepreneurial journey towards business ownership. The company started out from a one car garage and a used Ford van in Farmingdale, New York. Soon after, Pride established themselves in a 30,000 square facility, and then began to introduce a much larger and diverse inventory to the company. This enabled them to service many more types of merchants including dollar, discount, variety, supermarket, and drug stores. In 1996, in what was their biggest move ever, they bought a 150,000 square foot warehouse and office building in Ronkonkoma, New York. Over the years, Prides renovations and acquisition of satellite warehouses nearby, increased it’s total capacity to what it is today. With ample and sufficient warehouse space, Pride has the ability to buy in bulk at better prices, and can focus on providing its customers with the highest of quality merchandise at the most competitive costs. With its own fleet of trucks, deliveries are always made in a timely and efficient manner. Pride’s knowledgeable customer service team adds even greater value and customer satisfaction. From the beginning of Pride’s existence, it has been David Emrani’s main goal to supply the best quality products available for the best price, and it will remain to be Pride’s vision for years to come. As a true wholesaler, we are strictly business to business, and by law, we can only sell to businesses with a valid State Tax Resale Number. We apologize but we cannot sell to the general public. 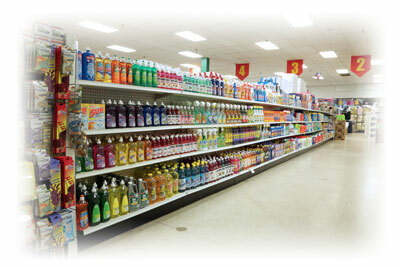 Pride Products Corporation serves many different types of retail stores and other businesses. And many other independent retail stores! Not sure if we can serve you? Contact us and we will be more than happy to help you.